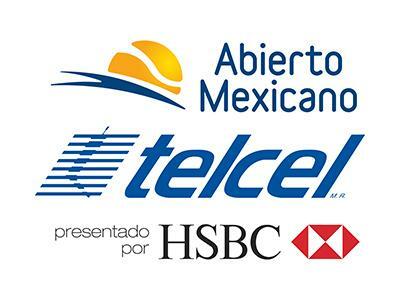 TennisForum.com > Previous Tournaments > Archive > Enter > 2019 > Abierto Mexicano TELCEL presentado por HSBC > PAW #984 Acapulco Congratulations pazo77! PAW #984 Acapulco Congratulations pazo77! Welcome to Pick-A-Winner (PAW), the Predictions game! Over the course of the tournament choose any 13 matches in the main draw and post who you think will win them. Not all picks may be on the same tournament round. After this time, there will be an unlimited amount of Wildcard entries available for late entries. Never edit or delete your posts. If you want to change or cancel a pick, use a new post to state your new pick. Please try to check if a match has started before picking it. If a pick is late it is invalid and you may replace it. If a player withdraws before the match, the pick does not count and may be replaced. If a player retires during the match, the pick counts as if the match had been completed. Posts should be in a format in which it is clear who you think will be the winner. For example: Player A OVER Player B or Player A DEF Player B and not Player A vs Player B or Player B loses to Player A. Finally, please use the players’ real names and not their nicknames. Last edited by Power Shot; Mar 3rd, 2019 at 12:25 PM. Last edited by Power Shot; Feb 26th, 2019 at 07:13 AM. Last edited by Power Shot; Feb 28th, 2019 at 10:27 AM. Last edited by Power Shot; Mar 5th, 2019 at 07:12 PM. Last edited by Power Shot; Mar 5th, 2019 at 07:17 PM. Last edited by Power Shot; Mar 5th, 2019 at 07:27 PM. Last edited by Power Shot; Mar 1st, 2019 at 01:21 PM.